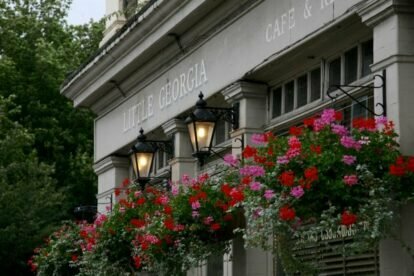 Georgia (the country, not the US state) is known for its food, and this is my favourite place in London to try it. If you’re here for a whistle-stop tour of Georgian cuisine, I’d encourage – nay, implore – you to make your first calling point a round of stuffed bread, either khachapuri (the cheesy one) or lobiani (which is stuffed with a spicy bean paste). The meze platter is also a winner, all aubergine and pepper and copious pomegranate. After that, I can seldom resist the chicken livers (katmis gvidzli), which are billed as a starter but can be enlarged on request, though if you’re not offal-minded there’s no cause for concern, as everything seems tasty here. The khinkali dumplings are a real Georgian treat, while the pan-friend poussin is garlicky and satisfying. There are at least three vegetarian options on the menu too. Finally, don’t miss the Georgian wine; Georgia prides itself on having invented the stuff.